Pretty pink collar in faux leather with Swarovski crystals and a beautiful flower. 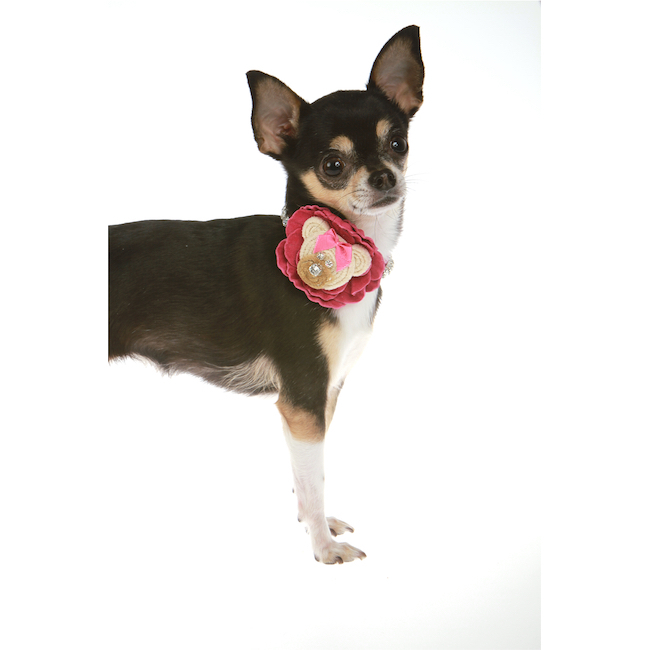 The Trilly Tutti Brilli brand is made with a true passion for little dogs. Beautiful details in design, great choice of fabrics and materials.